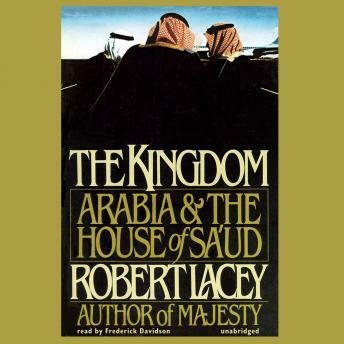 The Kingdom is the story of a country—a country of astonishing contrasts, where routine computer printouts open with the words “In the name of God,” where men who grew up in goat-hair tents now dominate the money markets of the world, and where murderers and adulterers are publicly executed in the street. By its own reckoning, this country is just entering the fifteenth century. The Kingdom is also the story of a family—a family that has fought its way from poverty and obscurity into wealth and power the likes of which the world has never known, a family characterized by fierce loyalty among its members, ruthlessness toward its enemies, and dedication to one of the world’s most severe and demanding creeds. The Kingdom is Saudi Arabia—the only country in the world to bear the name of the family that rules it.